The reviewer has been compensated in the form of a Best Buy Gift Card and/or received the product/service at a reduced price or for free…. Many of you know I have been on a weight loss journey for over a year now. It really has been a journey. One full of ups and downs, good days and bad. It has been a struggle, to say the least. My journey started last November when I found myself at my heaviest. I weighed 171.5 pounds. I really think I probably weighed 2-3 pounds more than that before I actually weighed myself that morning, just under a year ago. From November 2012 to April 2013 I lost 28 pounds. As of today, I have gained 16 pounds back. Over the last 6 weeks I’ve been beating myself up over it, which has lead to me eating more. And there is no logic whatsoever in that, but it is, what it is. Seriously. I am so frustrated with myself. Instead of getting motivated by the weight gain, I just felt sorry for myself and ate more. I’m tired of feeling sorry for myself. And on the bright side, I’m 12 pounds lighter today than I was this time last year… so I don’t have as much to lose. By my birthday in April, I should be able to be down more than I was last April. I need a little assistance, though. Something to motivate me. 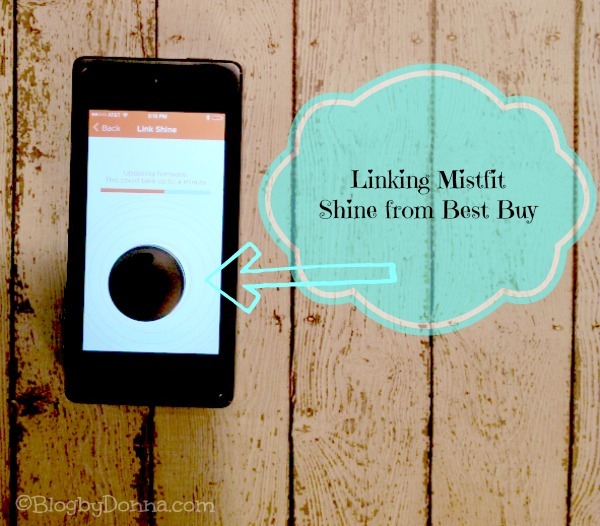 I recently received the Misfit Shine from Best Buy. 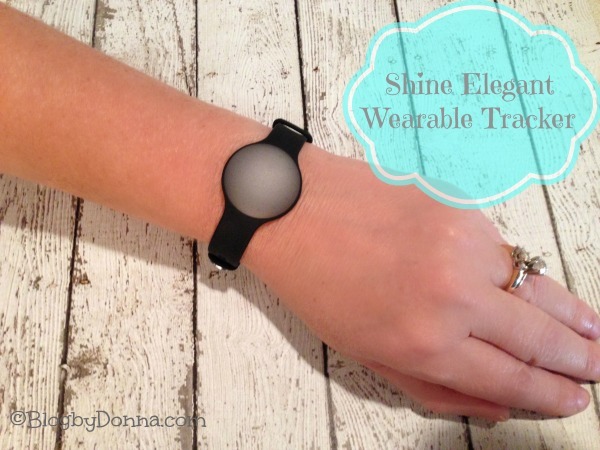 The Shine Elegant Wearable Tracker from Best Buy keeps track of your steps (or activity) and calories burned. It also tracks your sleep. I’m very interested in this, since I know I’ve not been sleeping well. You set your goal, then link up your Shine at the end of the day (or throughout the day, if you’re like me) to see if you met your goal, or fell short or exceeded it. As of right now, I’ve got my goal set at 800, which is the equivalent to 1.5 hours of walking. I plan to gradually increase this goal. 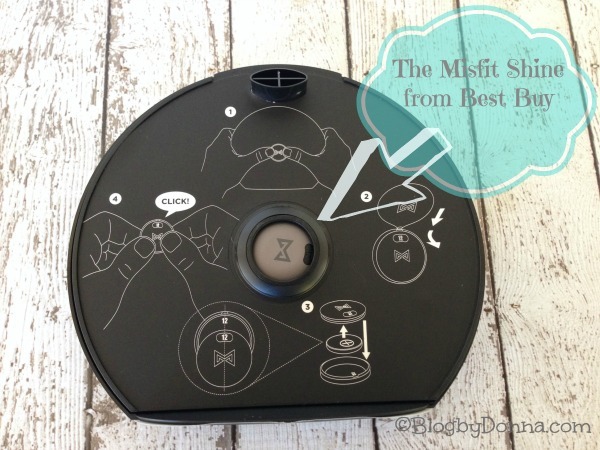 There are several activities you can do while wearing your Misfit Shine besides walking… there’s running, cycling, soccer, and swimming. I do wish there was a way of tracking aerobic exercises like Zumba or dancing, and strength training. But walking is the exercise I’d want to use it for the most, since it is what I do the most of, not to mention that the best thing you can do for yourself is just… walk. I love that it not only is worn like a watch, but actually is a working watch. I love that there are several ways to wear the Shine. I can wear it in the provided band as a watch, or put it in the clip and wear it on my bra, hooked to my pants, shoes, or on my vest as I did in the photo below. You can see the little scratches where it was stepped on. A word of caution though… It recommended being creative on how to wear it, so last week I went to a Veteran’s Day program at my son’s school and decided to clip it onto my boots. Since I knew I’d be doing a lot of walking around the school, I wanted to see how many steps I could get in. Well, when I got home, it was gone. I’d lost it. My husband, being the wonderful man he is, drove back to the school (it was dark, and very windy and cold) and tried to backtrack our steps to find it. I was upset with myself for putting it on my boot. I realize now, that my boots were probably too thick for the magnet in the clasp to hold on. I happened to be volunteering at the school the next morning and after I was done, I decided to walk around and see if I could find it. It has a few tiny scratches on it, probably from where the kids walking up the sidewalk into the building that morning walked on it. And yes, it still works fine. Luckily, I found it, but be careful where you clip it, so you don’t have to go through what I did. Versatility – You can wear it so many places on your body. I do love wearing it as a watch the best. Because with it right there on my wrist, I’m reminded to take those steps. Solid construction – As I mentioned, it might look just a bit worse for wear, but it survived hundreds of little (and some not so little) feet walking all over it. Water-Resistant – This summer, that will come in handy for the pool. But for right now, I can shower with it on. Battery Life – There’s no recharging required and the battery lasts 4-months. Watch – It is an actual working watch, too. Magnetic Clasp – The clasp just isn’t strong enough to hold onto some materials making it easy to lose. Shine is exclusively available in additional colors at Best Buy including Silver, Black, Champagne and Topaz. Extra Accessories (includes magnet clip), leather bands, sport band, and a necklace. All-in-all, I’m very happy with my Shine wearable tracker. Getting healthy with the Shine from Best Buy is one of my early New Year resolutions. What are you doing to get healthy? Do you know someone that the Shine would make a great gift for? My husband would love something like this – it can be as visible or as hidden as he wants it to be since he can wear it just about anywhere! that is neat I so need one of these for the 1st of the year when i start a whole new lifestyle! Thank you for sharing! I love its versatility and that it is a working watch. How cool is that! That looks like such a neat device – I’d love to give it a try! I joined WW and am eating Progresso soups for lunch every day. I’ve lost a few pounds. Hmm, maybe this would be good for me? I have one of these and I love it! Makes things so much easier! Wow this looks great! My hubby would LOVE this! thanks so much for sharing! loved all your pics too! They are great! I have one! It is awesome. I think I should get one for my parents and my sister, too. They are a great motivator. Wow, this looks really cool! That is so good you found it, I would have freaked, sounds like me!! I love how you can wear it anywhere! i love that you can wear this around your wrist! this would be great for me as i am trying to lose weight for my sister’s wedding since i have to be in a small dress for her wedding. i am exercising and counting calories right now. i would love to walk but no sidewalks or anything around here so would have to go to a park or something. This sounds like a great product, thank you for sharing. My husband has a Fitbit. I love it! Such a simple product that I can get my mom to use vs. my Polar Ft40! Thanks for helping with a Christmas present! My pleasure! I think she will like it! Oh wow I love it! I use the fitbit one but this is way cool! This is awesome! I could see myself wearing one. This looks awesome – I’ve never heard of it before, I’m thinking that I need one! Very cool. 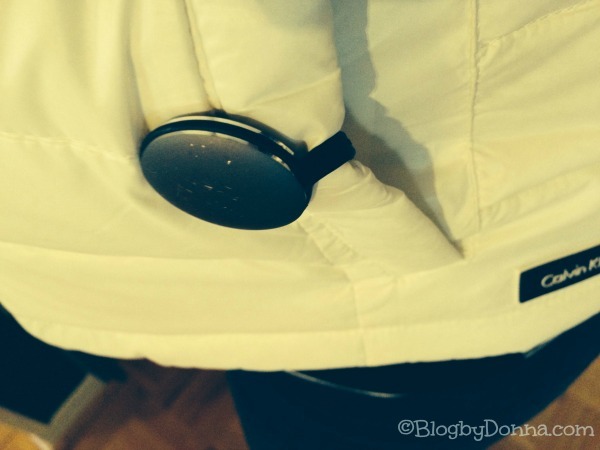 This would be perfect for my husband, who could clip it to his windbreaker pocket. 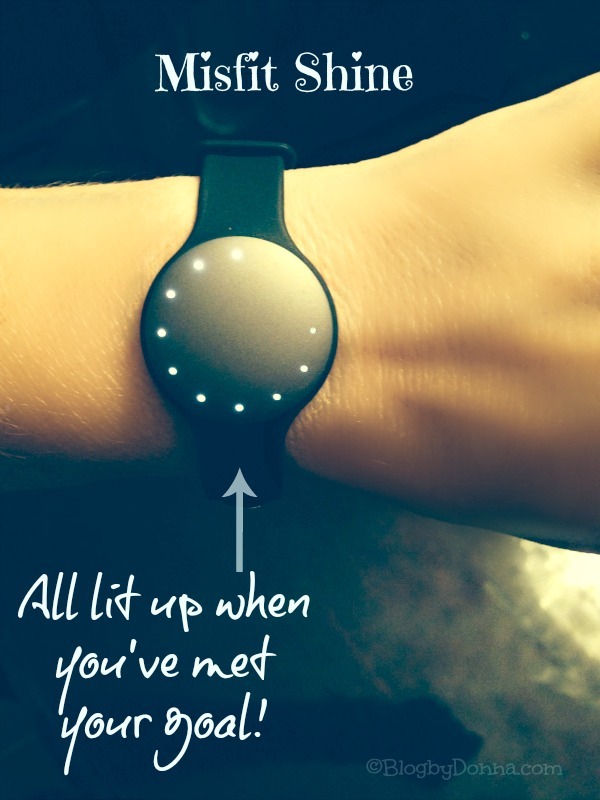 I love gadgets like this because it helps you exercise and stay accountable. I love that this one is waterproof. Hi – I don’t think I need one of these. My two four-legged friends make sure I stay fit and healthy – I have to get out and walk them 3 or 4 times a day, whatever the weather! And I sure am glad you found it too, or else such a small gadget is rare to find once lost! Coming to your weight loss journey, don’t worry! You’ve done so well all through this while, and I’m sure this is a little of a down-side when one needs more of motivation – happens with me too. Walking is the only one thing that does help. I tend to get tired, so it’s another great suggestion to talk for a stretch of 40-45 minutes (that’s all you actually need to lose weight, as recommended, so you don’t tire out yourself), and the remaining 40-45 minutes, you could take up in the evening. I’m trying that out for now, and not to forget lots of water, which again helps you to lose weight! Pretty cool. I hear a person is supposed to get 10,000 steps a day to be healthy. It’s easier said than done! This should help. Could be a good gift too. Thanks for sharing! Coolest gadget. I love it! My weightloss journey has a lot of ups and downs. I get very into it, lose weight, and then become a slacker. What a great gadget! I hear you on the weight-loss journey. My weight has been a roller coaster throughout the years and I’m tired of it too. Like you, when I put on weight I feel bad so I eat more. Makes no sense but I am stress eater!! I really like the sleek, mysterious look of this, but since I frequently do things like aerobics, Zumba, and strength training, it may not be the best device for me. I like that you can use it in different ways. 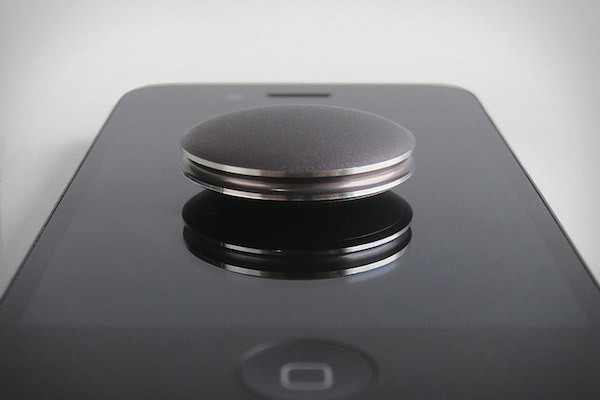 Looks like a cool little device. I really like the look of that. You would never know that it is tracking. That looks like a nifty little device! I’ll definitely be checking it out! I would love to have this. 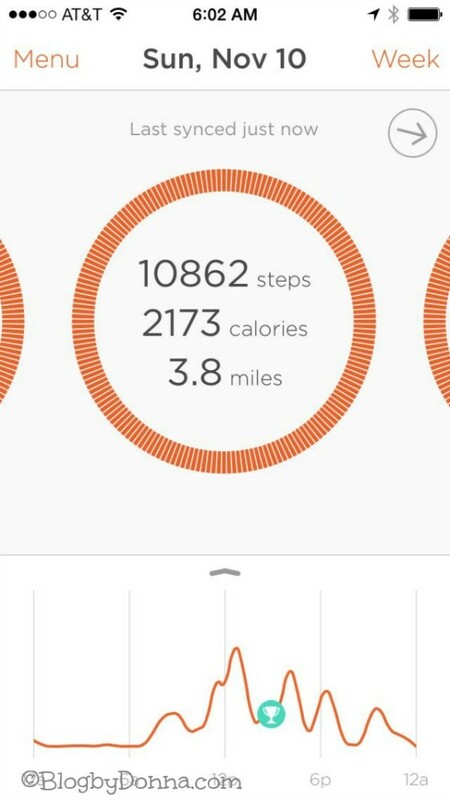 I was just telling my husband the other day about walking 10,000 steps a day and needing a tracker. Glad you found it too! Hope you’re having a great weekend Donna! If only it worked with Android. This looks really neat! I love that it tracks so much and that it can be warn as a bracelet on your wrist. I am always losing my fitbit. I have never heard of this product before! It sounds fabulous. I have been wanting a Fitbit for a long time but now will definitely check out the Shine. This looks awesome. I definitely need to look into getting one for myself. I heard some one mention it but I wasn’t sure what it was exactly. I would probably where it as a watch myself as I tend to lose things easily. Also, like you mentioned for the visual reminder. Do not feel bad about the weight loss and weight gain. I have done the same thing. In April I lost ten pounds then over the next couple of months I gained ten. I started a competition with my then boyfriend and I gained another ten. After our 3rd check in I just gave up …again. But I picked it back up the following month. I’m hoping to keep on track now. It is discouraging so they say to weigh yourself less. That is working for me so far. Good Luck and know you’re not alone. I have one of these too and really like it a lot. What a neat little device. It looks pretty neat on your wrist. My husband likes his Shine. I just wish it would sync with Android! This is really cool, thank you for your review.